The stylish Novad compact ceramic cloakroom suite, beautifully designed and manufactured from quality white gloss ceramic, ideal for bathrooms and cloakrooms with limited space. 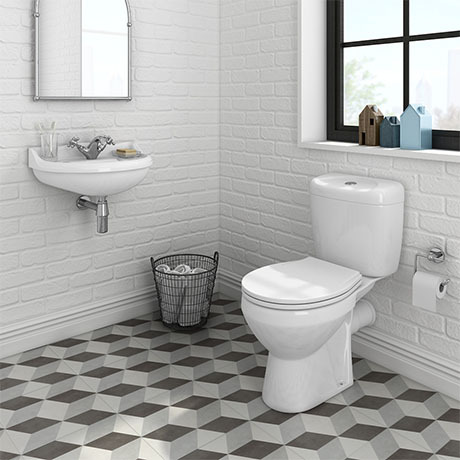 Features a wall hung 500mm cloakroom basin and a dual flush ceramic close coupled modern toilet with standard seat. Please note - Pop-up waste, chrome bottle trap and mono tap NOT included.